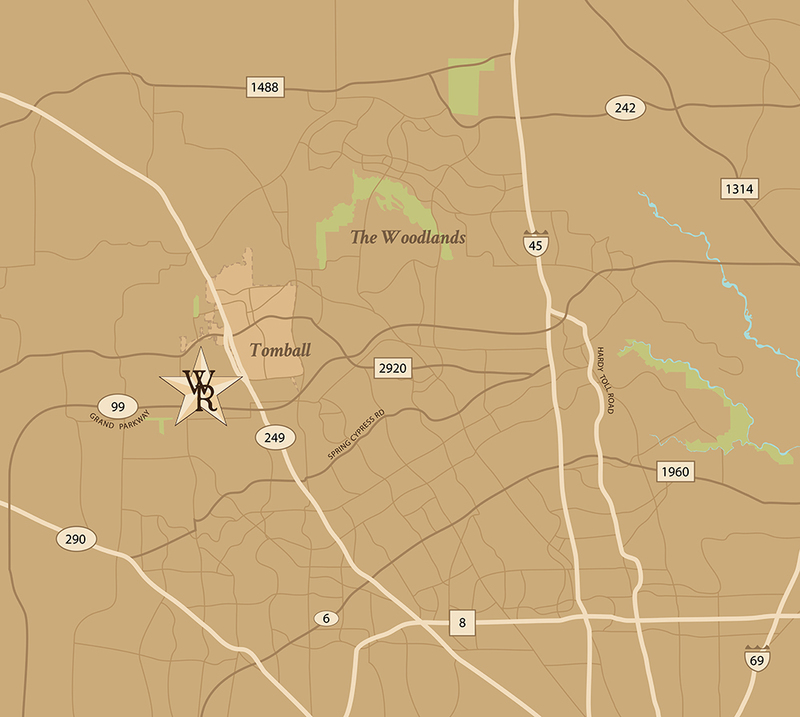 Northwest Houston and the Tomball area are filled with places to play as well as plenty of career opportunities. North and South of Willowcreek Ranch are Spring Creek Park, AE Dyess Park and the Theis Attaway Nature Preserve, all perfect places for nature picnics and family fun. And in between, industry is planning to boom with development of the new Exxon Campus and Noble Energy relocation nearby. According to experts, Tomball is strategically located to capture growth in both the energy and medical services industries. Just north of Willowcreek Ranch on Waller-Tomball Road is the new Tomball Market Place and Tomball Town Center across highway 249. Both centers will serve as retail hubs for the area. National retailers also located at the intersection include Target, Lowes, Kroger, Petsmart, Office Depot, Sears, Kohl’s, Academy and many others. But even more exciting is Caldwell Companies' neighboring Towne Lake community in Cypress that has big plans yet unseen in the Northwest Houston area. Towne Lake’s upcoming Marina & Boardwalk District will feature a unique collection of waterfront dining, shopping, and office space, and several recreational outlets all accessible with marina parking for resident boats. The Boardwalk will also be accessible via Towne Lake Parkway. Stop by to see what new stores and restaurants will be opening! Being surrounded by nature makes it easy to enjoy a good game of golf! Willowcreek Ranch is just miles from several golf clubs featuring championship courses and Texas country hospitality, such as Tomball’s own Golf Club, Blackhorse Golf Club in Cypress and several to choose from just north in The Woodlands. Hit a hole-in-one with one of these courses today! A community experience is not complete without the feeling of secure healthcare nearby. 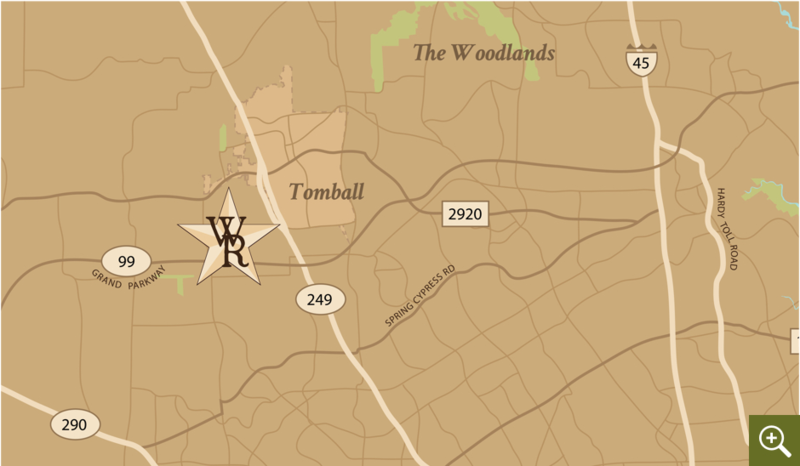 Willowcreek Ranch is comfortingly close to award-winning Tomball Regional Medical Center, which has been ranked in the top 5% in the nation for clinical excellence, pulmonary care, overall cardiac care, as well as emergency and women’s services. Through exceptional technology and a specialized medical staff, area residents receive a full range of medical services close to home. There are stables full of sources for entertainment, activities and local services to discover. 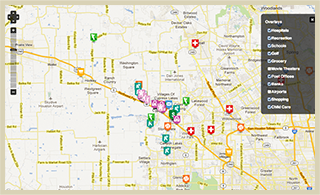 View our interactive Area Shopping & Services map to explore all of the local amenities.